With coupon code joomlaseo you get 50% off for the first month here! Lipperhey offers a really nice tool for on-page SEO purposes, checking pretty much all relevant topics, plus some off-site SEO stuff as well, like online popularity (links and social media). 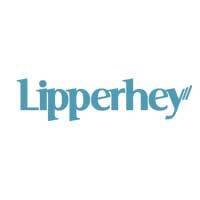 If you are serious about SEO, you can also sign up for the PRO version of Lipperhey. This allows monitoring the SEO performance for 50 projects, with full functionality, plus further features like tracking keyword rankings (2500), white-labelled reports and more. Especially rank-tracking over time is always nice to impress your customers ;). You can also enter one or more competitors, so you can see how they do compared to you, and maybe learn from them. The tool does quite a good job of checking the on-page SEO parameters, divided in a Technical and SEO content chapter, while also looking at Popularity (links, likes, social media, etc.). Backlink checking does not seem 100%, but for on-page SEO analysis, Lipperhey does a really nice job, and this is what the tool is made for. What is especially nice is the clean interface, with clever navigation, allowing you to drill down to all individual pages. Lipperhey offers a really nice tool to perform on-page SEO analyses. Of course this can never replace a manual audit, but for less experienced users, or SEO experts who want to automate part of their work, this could be a very nice tool. As I said, you can try it out for free. A full account allows for 50 projects (sites) to be optimized, for $99,- a month. You can register here, and if you use coupon code joomlaseo you get 50% off for the first month.